This Luna luxury bathroom furniture collection comprises of a washbasin cabinet in gloss colour finish with a matching glass basin top and under hanging ceramic wash basin. Also within this room set are stunning tall bathroom cabinets with concave doors that include 5 glass shelves again finished in a matching gloss finish. 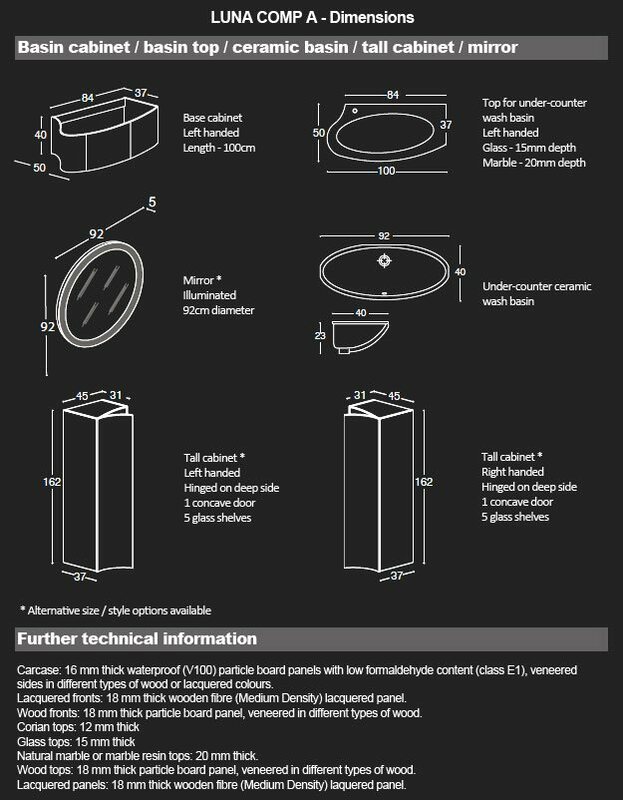 To complete the look a 92cm diameter illuminated mirror is also shown. This designer bathroom furniture is made to order in Italy ensuring the highest quality manufacture. 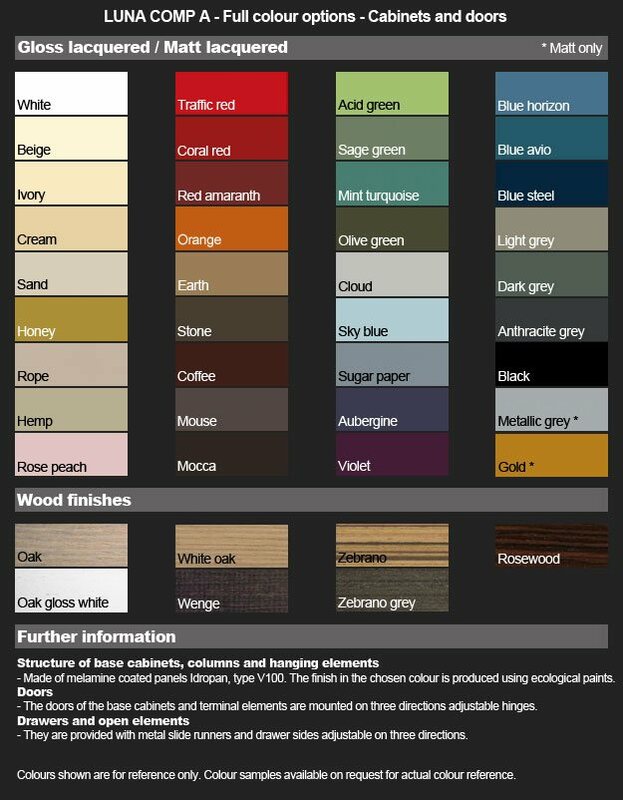 With a large selection of gloss and matt colour choices, 7 wood cabinet finishes and many more sizes and furniture design options available there will be something to suit all bathroom needs. 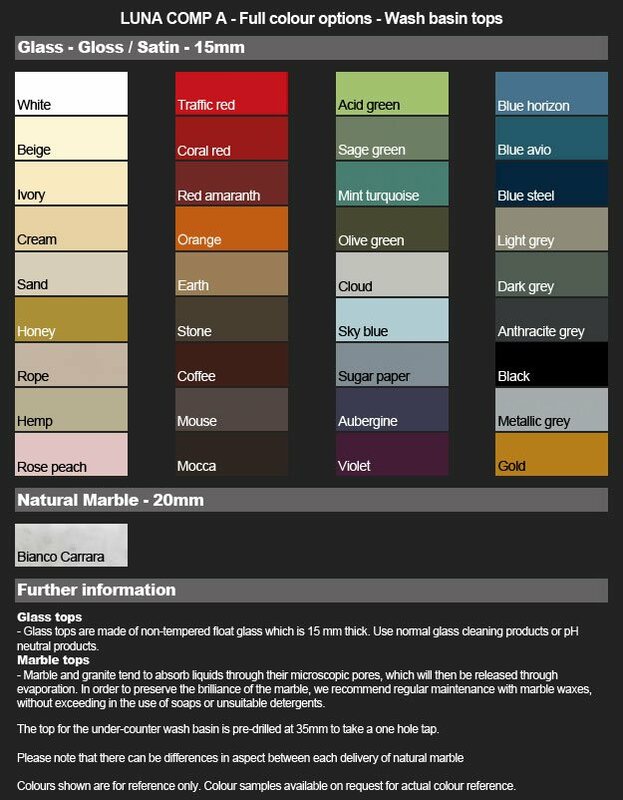 * 36 colours in high gloss or matt paint. * Cabinets & drawers in 7 wooden finishes. * Basin top available in matching colour glass. * Also available in Bianca carrara marble. * Work top includes under-hanging ceramic basin.